In our 20th anniversary magazine, The Inside Scoop, which can be downloaded from our homepage, we profile sponsored riders including Emma Hobson. Rebecca Haywood had a chat with Emma to find out why she swapped the classroom for the yard. A CHANGE in career has seen Emma Hobson go from an English teacher to a freelance equestrian instructor while also competing at top-level dressage. 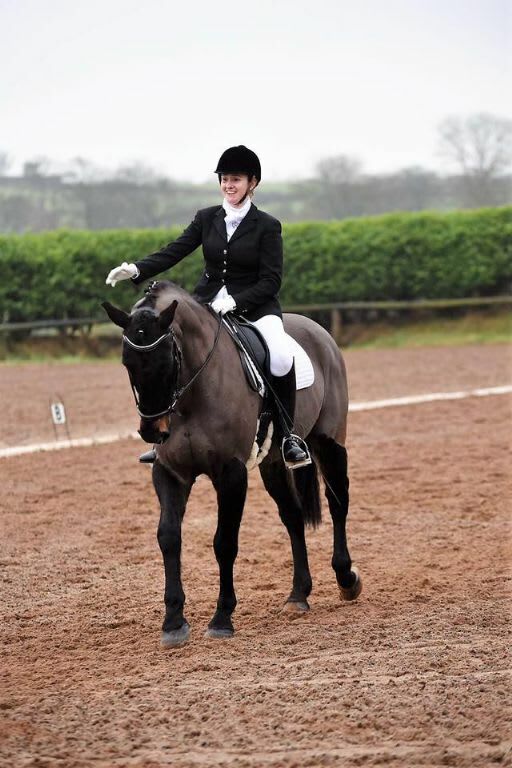 When Emma moved back to Ireland six years ago, she brought Jack home with her and it was then they started competing in Dressage Ireland competitions. She later bought her current top horse – Rolando, a former showjumper himself. “I picked him up in Cavan sales when my mum and I went for a look. We never intended to buy anything! He’s an ex grand-prix showjumper and it was his wonderful paces I fell for.